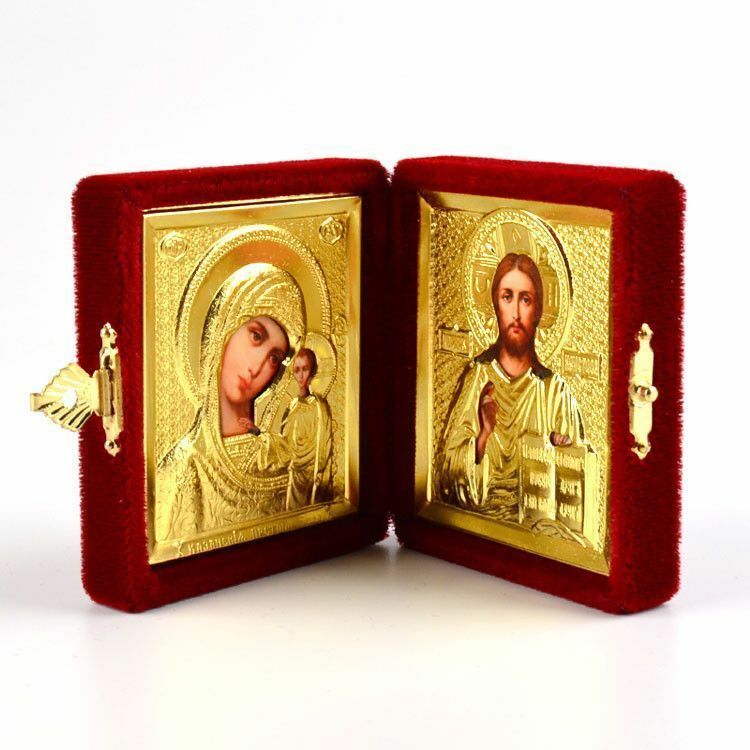 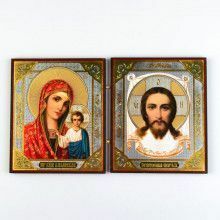 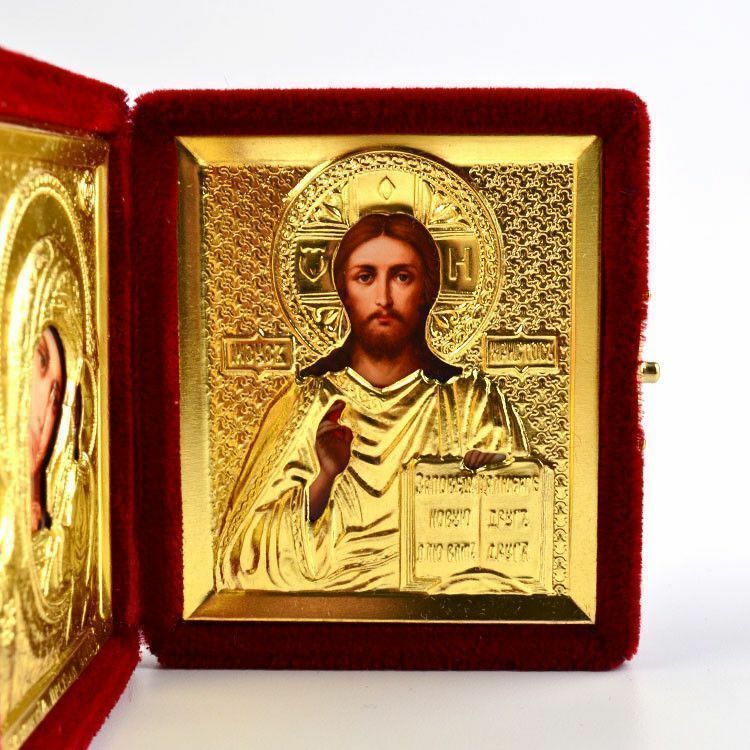 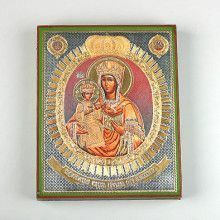 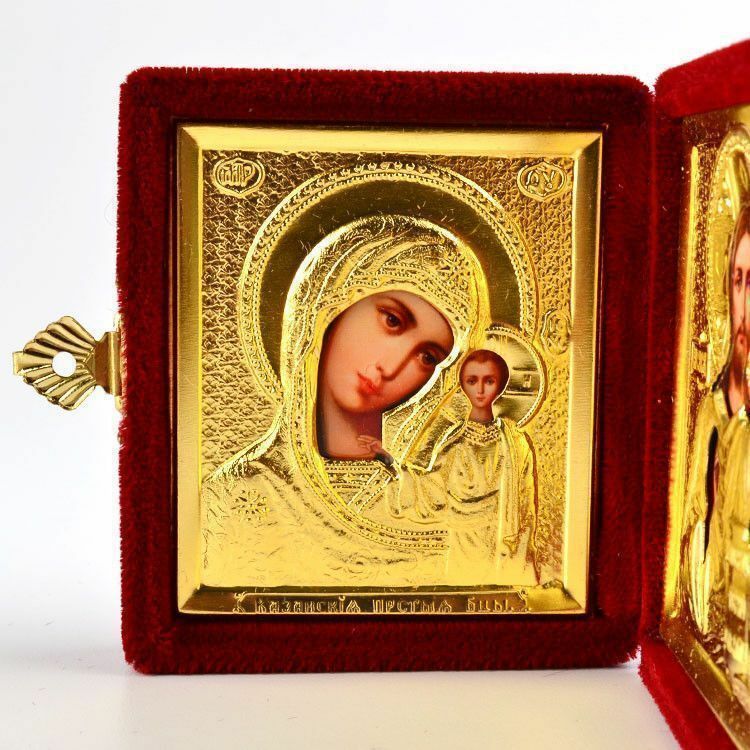 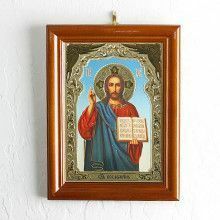 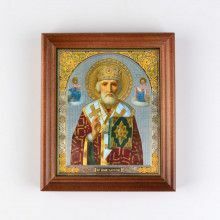 Traveling icon - Son Of God and Virgin of Kazan images are covered with dimensional tin and golden color riza or oklad (metal cover protecting an icon). 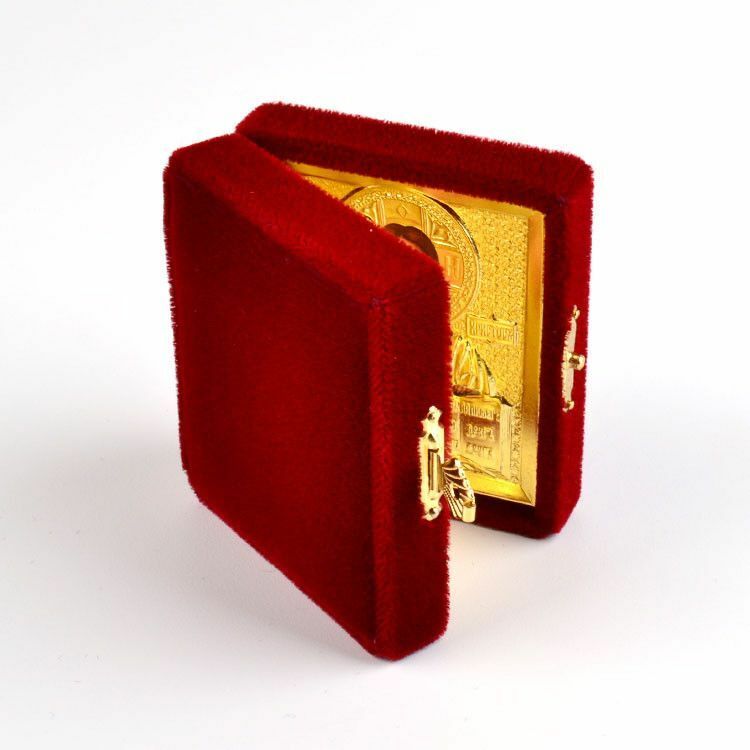 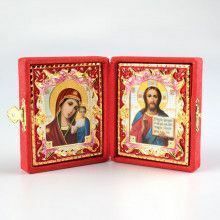 This traveling Orthodox icon diptych has been covered with soft and smooth red/burgundy color velvet and set in a handy folding case with an ornate latch. 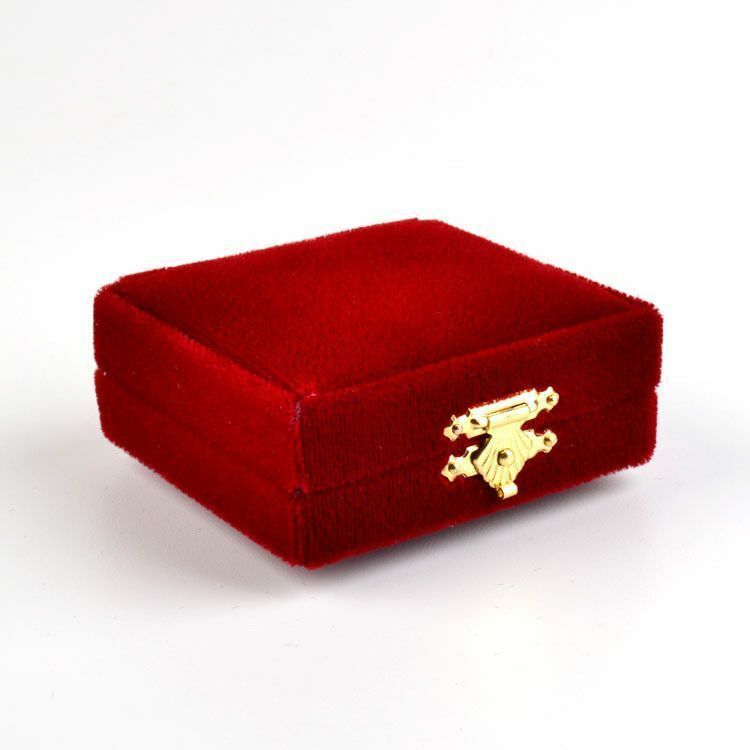 About 3 1/4" x 2 1/4"